Don't let this opportunity pass you by! A chance to try THREE different kinds of skis: back-country, alpine/downhill and cross-country skis! 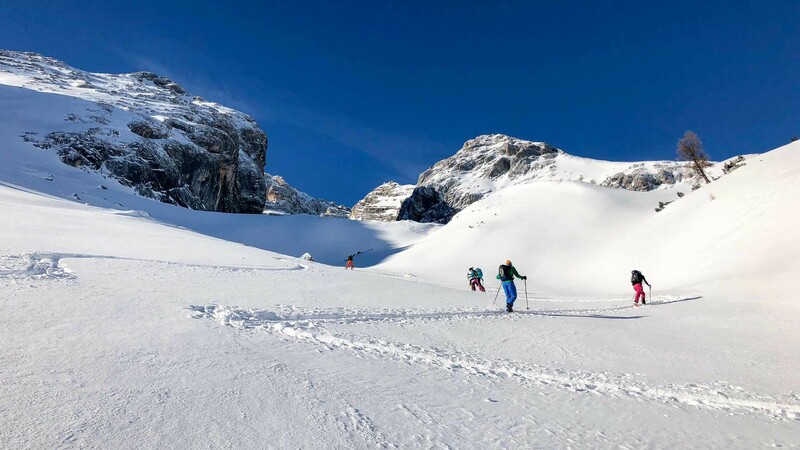 3 days of adventure in uncontaminated nature on back-country skis, off the beaten tracks and away from skilifts, from the Pale di San Martino to the town of Badia. 2 days on the beautiful slopes of the Dolomiti Super Ski carousel and the last day cross-country skiing on the Alpe di Siusi plateau. 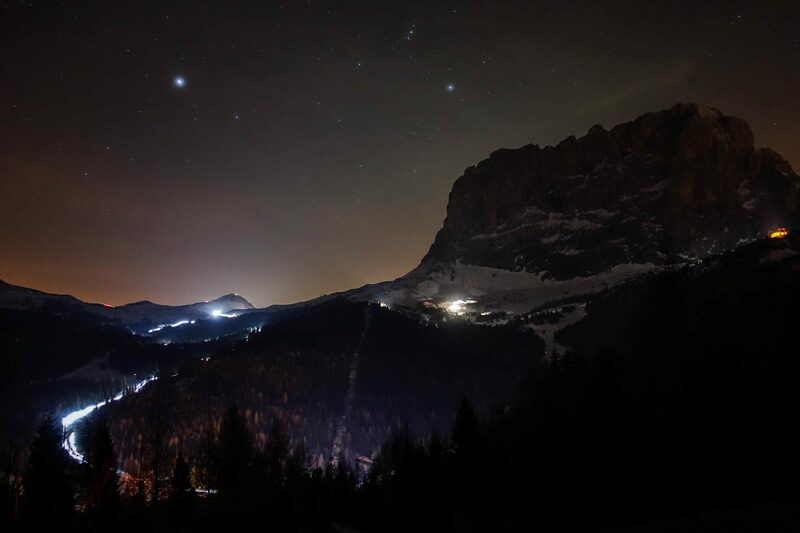 Arrival in San Martino di Castrozza: Arrival and check-in at your hotel. Dinner and general briefing with your guide. Overnight stay in hotel in Badia. 1st day: Skiing accross the Pala group from San Martino di Castrozza to Gares. Transfer to the San Pellegrino area. Dinner and overnight stay in a hut. 2nd day: Inspect the queen of the Dolomites - the Marmolada. Skitouring through Forca Rossa and down hill to Canazei. Dinner and overnight stay in hotel. 3rd day: From Canazei, across the Sella Massive to Alta Badia. Dinner and overnight stay in hotel. 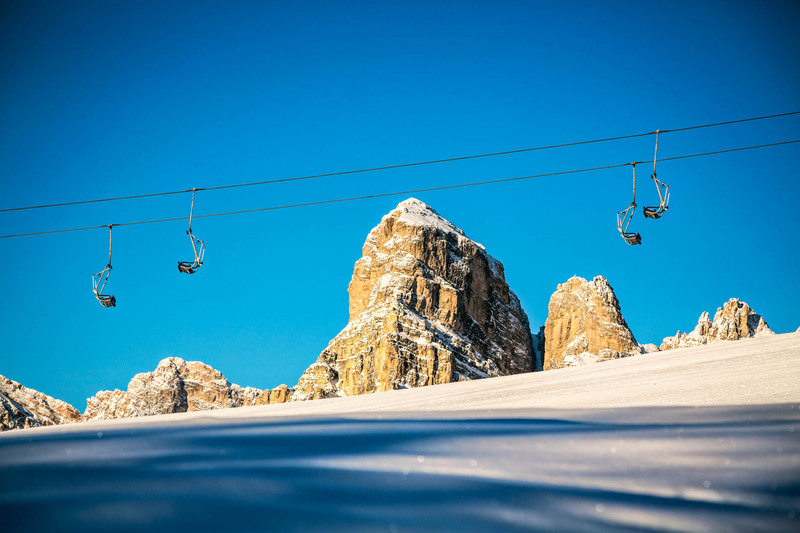 4th day: Enjoy the lifts and slops of the Sellaronda, starting from Badia. Dinner and overnight stay in hotel. 5th day: From Badia to Alpe di Siusi on skis, the largest high-altitude Alpine meadow. Dinner and overnight stay in hotel. 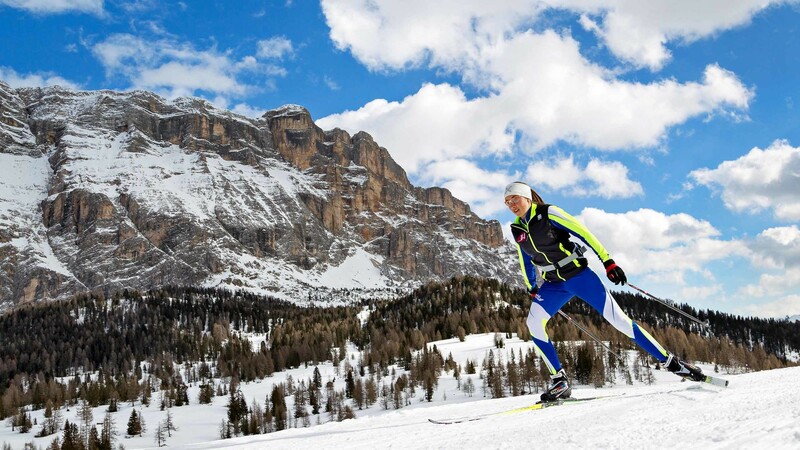 6th day: The last day you have the possibility to discover and enjoy the nordic ski slopes of the Alpe di Siusi. Dinner and overnight stay in hotel.. Lunches, beverages and anything not mentioned under the heading “Included in the price”. Cancellation insurance which guarantees you a full refund of the price paid if you should cancel your trip prior to your arrival. Is some training necessary before participating in this tour? Yes, it is highly recommended. 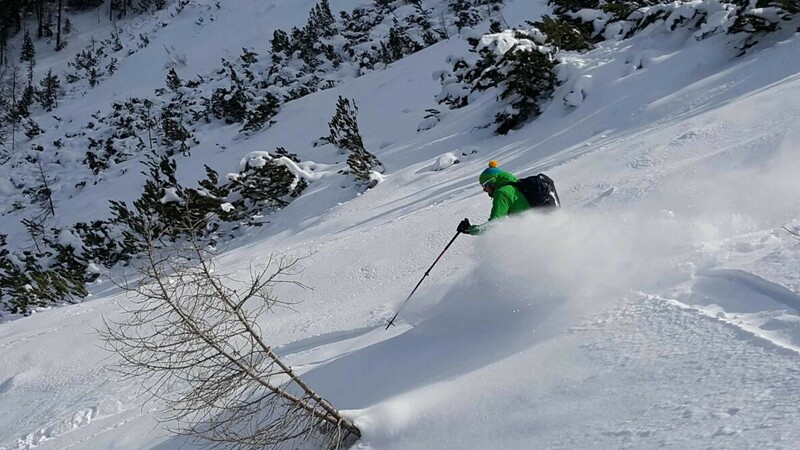 Sore legs, blisters, or other ailments related to skitouring and skiing after the first stage can possibly ruin the entire week for someone. Do I need to know how to ski-well? It IS ESSENTIAL to know how to ski well on and outside the slopes and to posses good handling of your skis. This program is therefore open to good skiers only. Are there any other options in the case of adverse weather conditions? Sir Alan Flemming once stated: “There is no such thing as bad weather, only inappropriate clothing.” Therefore, in case of bad weather, the group will ski. I am travelling by myself and would like to join a group that has already reserved. What can i do? Contact us and we will tell you when there are skiing groups that have reserved for this offer. We can also organize this program as a private one-person tour (for an extra fee).